There are many different safety symbols that can be seen in labs. 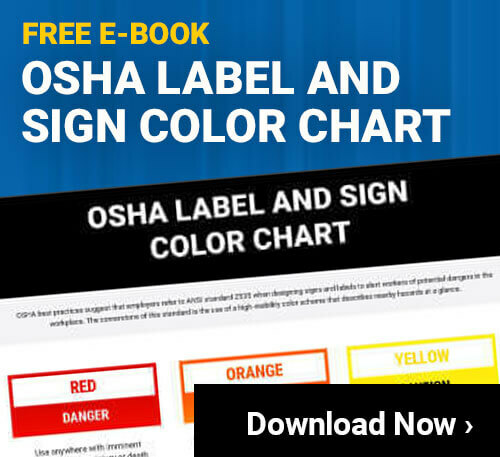 Since labs can harbor physical dangers it is important to be aware of safety symbols and to use common sense when working around different lab materials. First off, the technical definition for a lab or laboratory is a place in which experiments, measurement, and scientific research is conducted. Depending upon the types of experiments and research being done, there may be a number of hazards present such as chemical, animal, fire, biological, etc. In order to better understand some of the common lab symbols, let’s review them here. Biological – When there are biological hazards present it means that organisms and biological materials such as tissues or other organic matter may be present and to use caution. Workspaces should be sanitized properly and hands should be washed thoroughly as well. Eye Protection – Eye protection must be used when dangerous substances are utilized. Eye protection such as goggles help to create a barrier between the hazard and eyes so the eyes are protected from foreign substances. Fumes – Certain fumes may be hazardous if inhaled, and may even cause respiratory distress. This symbol serves as a reminder to always point objects with fumes away from yourself as well as others. Sharp Object – Sharp objects are often utilized in labs to conduct testing or experiments. This safety symbol reminds people to exercise caution around sharp objects and to use proper care if someone is cut or injured by a sharp object. Toxic – The skull and crossbones is commonly known to mean poisonous. This is a widely used symbol and warns people to use proper safety equipment such as a pair of goggles and a lab coat when needed. In addition, it is also important to keep anything marked with this symbol away from the eyes and mouth. Irritant – When this symbol is seen it reminds people to wear protective gloves to create a barrier between the irritant and the skin. Furthermore, irritants are also capable of irritating the mucus membranes in the respiratory tract and further safety equipment may be needed. All lab safety signs feature the use of pictographs to serve as visual reminders about specific hazards. However, even though some of the pictures seem pretty self-explanatory, others may be conveying a safety message that is further reaching. For instance, take into consideration the irritant symbol. Someone may look at the symbol as just assume that you must wear gloves when working with a specific material or substance, however, depending upon the situation additional safety equipment may be needed such as a face mask or respirator to ensure breathing safety as some irritants also irritate the upper respiratory tract. If you spend any amount of time within a lab setting, it is beneficial to know and understand each lab safety symbol to keep yourself and others safe.